The thing about wrapping things in lettuce is that it requires a pretty soft touch and a calm mind. You can’t be angry and wrap something in lettuce. The lettuce will revolt. So why bother? Well, it’s a nice contrast from a flour tortilla or something. It’s really crunchy and light. It’s also about as healthy as you can get. What I love most about these Grilled Tofu Wraps are the vibrant colors. When you bite into it, it’s like a rainbow of vegetables. And don’t worry, it’s not lacking in the flavor department. 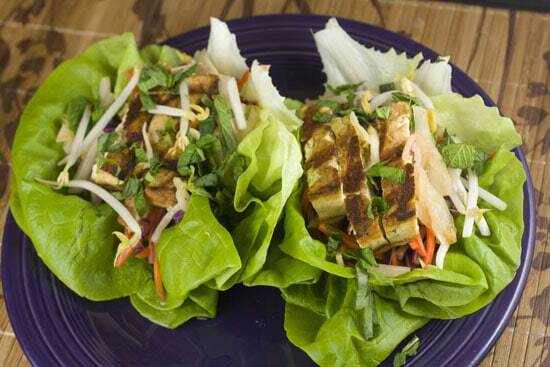 Fresh lettuce wraps stuffed with grilled marinated tofu and a spicy veggie slaw and lots of tasty toppings. Healthy and delicious! 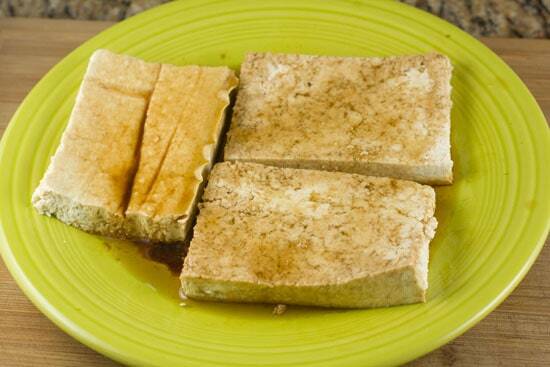 1) Slice tofu block into 3 even pieces and press out some of the liquid from each piece with a few paper towels. Then add to a plate with soy sauce and sesame oil and marinate for 5-10 minutes, turning once or twice. 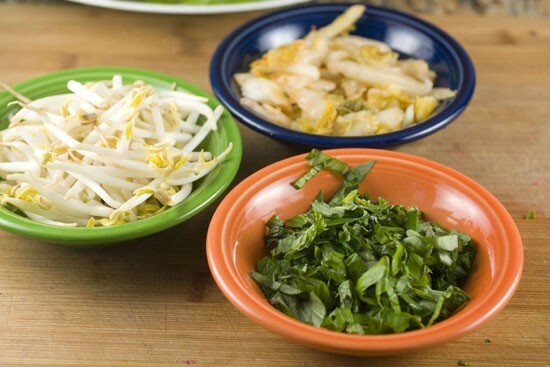 2) To make slaw, grate or slice all of the veggies very fine and add to a bowl. 3) In a separate bowl, stir together dressing ingredients (soy sauce, fish sauce, mirin, garlic, and habanero). The habanero is very spicy obviously, you can live it out or sub for a less spicy pepper if you want. 4) Pour dressing over slaw and toss to coat well. 5) Wash lettuce leave and dry them. 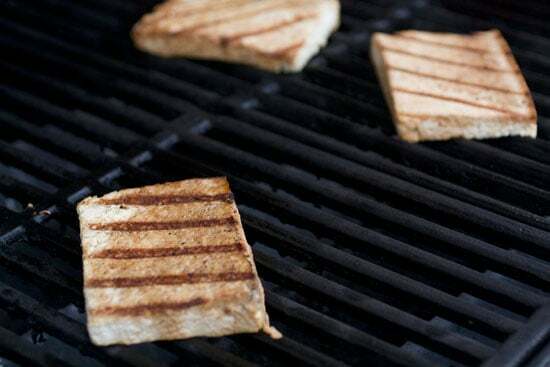 6) Grill tofu blocks over high heat for about 4-5 minutes per side until they are well seared. 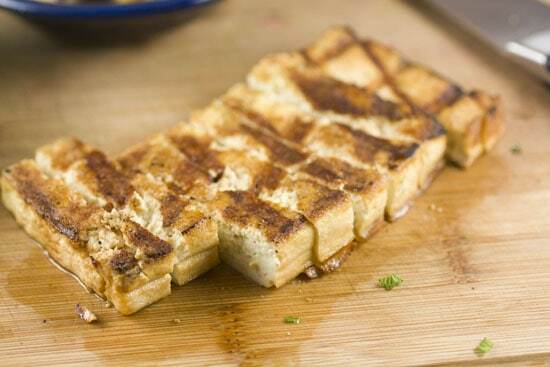 7) Slice tofu into sticks when it comes off the grill. 8) For each lettuce wrap, use two pieces of lettuce so it isn’t too flimsy. Add slaw and a few strips of tofu. Top with toppings and eat! Some people might think that the tofu is the star of theseGrilled Tofu Wraps, but the tofu just gives the wrap some body. 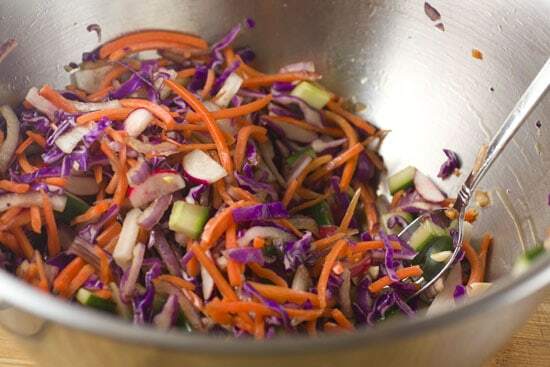 The real flavor comes from this slaw which is jam-packed with colorful vegetables. As with any slaw, the rule is to grate the ingredients or slice them very thin. 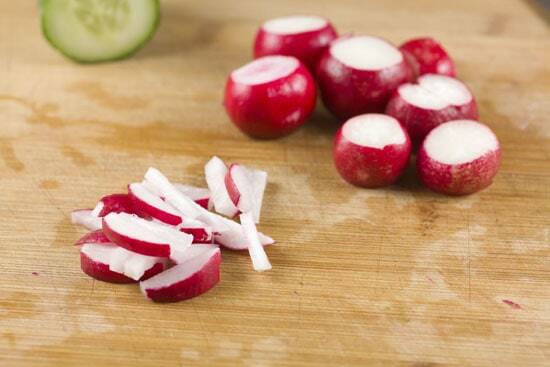 While you could grate the radishes, I found it easier to just chop them into matchsticks. The dressing for this slaw is absolutely delicious, but it has two ingredients that might be a stretch for some people. First, fish sauce. If you’ve never used it before, it smells really strong on it’s own, but when it’s mixed with other ingredients it just gives the mixture an awesome umami flavor. If you wanted to make this a vegetarian dish, then you’ll obviously want to leave out the fish sauce. Second, habanero peppers. If you’ve never cooked with these before, they are incredibly spicy. I like to use them though because I really like their fruity flavor. Even though I pictured two in the below photos, one is probably enough for most people. If you’re worried about the heat, you could substitute a slightly less spicy pepper like a serrano pepper or something. The key with the habanero is to make sure you dice it very finely so it almost disappears in the slaw (check the bottom left photo). Once your dressing is mixed up, just pour it over your veggies and stir it together. I suggest letting this sit for a few minutes before using it just to let the flavors blend. Be sure to wash your hands after working with the habaneros. Don’t say I didn’t warn you! I love making tofu this way. It’s quick, flavorful, and the texture that the grill gives the tofu is great. If you don’t have a grill you can definitely just sear the tofu in a pan over high heat. The first step though is to slice the tofu block into three even-sized blocks. Then press each of those blocks lightly with a few paper towels to get out some of the liquid. Next drizzle the blocks with soy sauce and sesame oil. This will flavor them obviously but also help the tofu from sticking to the grill. Then just toss them on your grill. Make sure the grill is very hot and they should need to cook for about 5 minutes per side to get nice and seared. The nice thing about grill tofu is that it’s pretty hard to go wrong. You can’t really over-cook it or under-cook it. When you pull the tofu off the grill, just slice it into sticks and it’s ready to go! 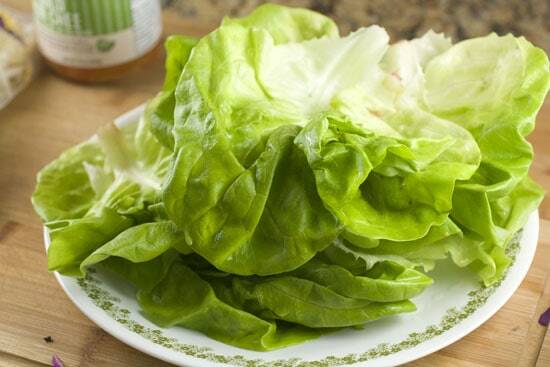 1) Buy a sturdy lettuce like bibb lettuce, romaine lettuce, or something similar. 2) Make sure it’s nice and crisp. You can submerge lettuce in ice water for a few seconds to crisp it up if you need to. 3) Use two pieces of lettuce per wrap. It gives you a little more stability in the wrap. Two pieces per wrap please. For a wrap, like these Grilled Tofu Wraps, toppings are always fun. For this round I diced up some kimchi, pulled out some bean sprouts, and made a little mix of fresh basil, mint, and cilantro. There’s no science really to building these guys. I like to line up two lettuce pieces and then scoop in some slaw. Next, pile on some tofu slices and then top with your chosen toppings. Two of these guys makes for a pretty decent meal actually. Kind of messy, but tasty! 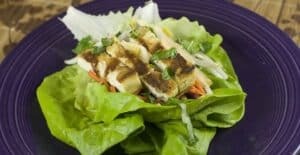 These Grilled Tofu Wraps really do have a lot of great flavors going on and are very fresh and delicious. They may also be the healthiest thing I’ve ever made! Heck yeah, I love lettuce wraps! And tofu is just the best, ain’t it? It’s such a great, quick sub for meat in a dish, because you practically don’t have to anything to it before searing and slicing it up. Boom. Do you have a tofu press? I recently got one and it’s improved my quality of life tenfold. I just pop that stuff in the press, put ‘er in the fridge, and it’s all drained and firm in an hour — or when I get home from work, whatever. 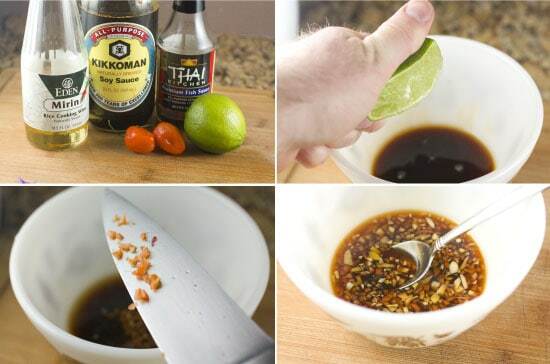 Takes marinades so much better and faster that way, too! I love everything about this, except the tofu. 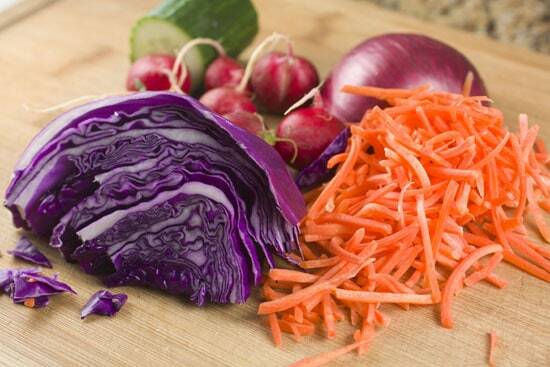 Actually, this would make a lovely salad, too — the slaw looks fantastic! Heya! Yea… you could sub grilled chicken or something without too much issue. Looks great – will definitely put this on my “try” list. I love tofu and am always looking for recipes. I love the heart-healthy slaw and tofu combo. Thanks!